Thanksgiving is full of family, fun and – of course – food! You work hard every year to get the feast together, don’t let it get spoiled! PartSelect has covered all the basics and then some. 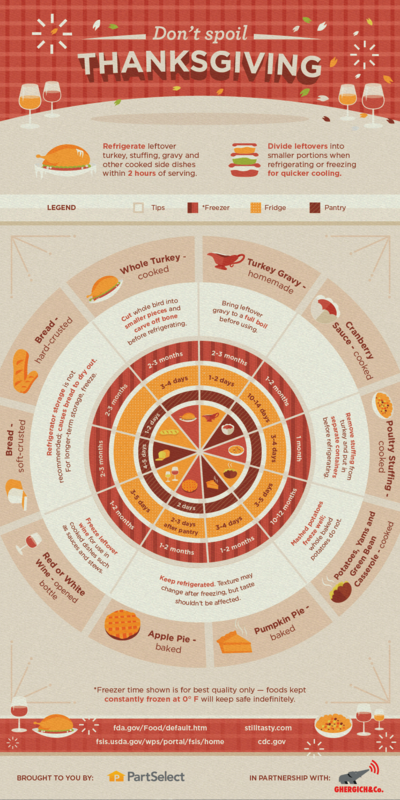 Keep this food storage guide handy so you can have a happy, healthy Thanksgiving!